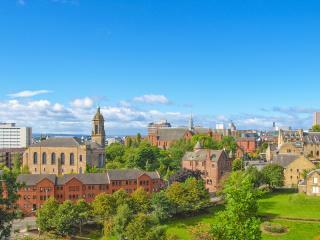 Glasgow has an interesting history and deserves at least a few days of exploration. The first settlers arrived in the 6th century to join Christian missionary Kentigern – later to become St Mungo – in his newly founded monastery. Later on, William the Lionheart gave the town an official charter in 1175 and in the mid 15th century the university was founded. The city continued to grow and Glasgow soon expanded into a major industrial port. The first cargo of tobacco from Virginia offloaded in Glasgow in 1674, and led to a boom in trade with the colonies until American independence. Following the Industrial Revolution, coal from the abundant seams of Lanarkshire fuelled the ironworks all around the Clyde, worked by the cheap hands of the Highlanders and, later, those fleeing the Irish potato famine of the 1840s. The Victorian age transformed Glasgow beyond recognition. The population boomed and new tenement blocks swept into the suburbs in an attempt to cope with the choking influxes of people. By the turn of the 20th century, Glasgow's industries had been honed into one massive shipbuilding culture. In the harsh economic climate of the 1930s, however, unemployment spiralled. Shipbuilding, and many associated industries, died away almost completely in the 1960s and 1970s, leaving the city depressed and jobless. Although Glasgow lacks the inspiring beauty of Edinburgh, it's one of Britain's largest and most interesting cities. 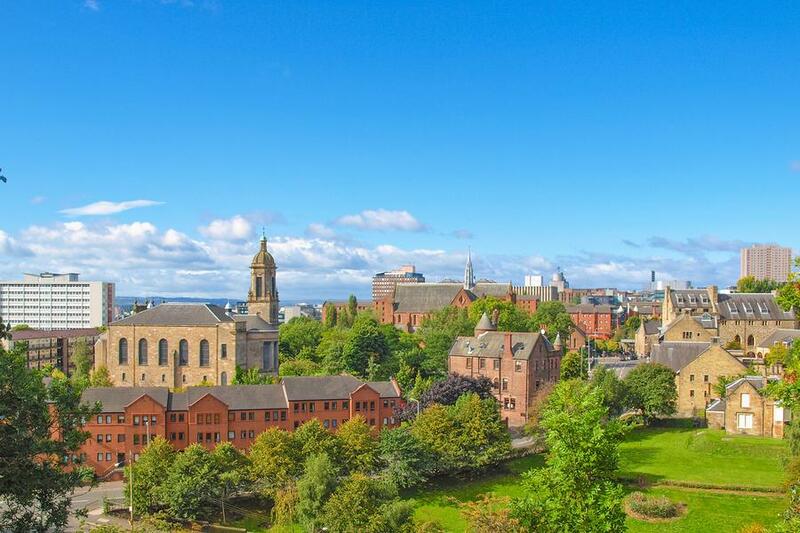 Featuring appealing Victorian architecture and several distinguished suburbs of terraced squares and crescents, this southern Scottish city is lively, interesting and back on its feet again. Glasgow's top attraction, the Burrell Collection, was amassed by shipping magnate Sir William Burrell before it was donated to the city. Now housed in a prize-winning museum in the Pollok Country Park, this idiosyncratic collection includes everything from Chinese porcelain and medieval furniture to paintings by Renoir and Cézanne. 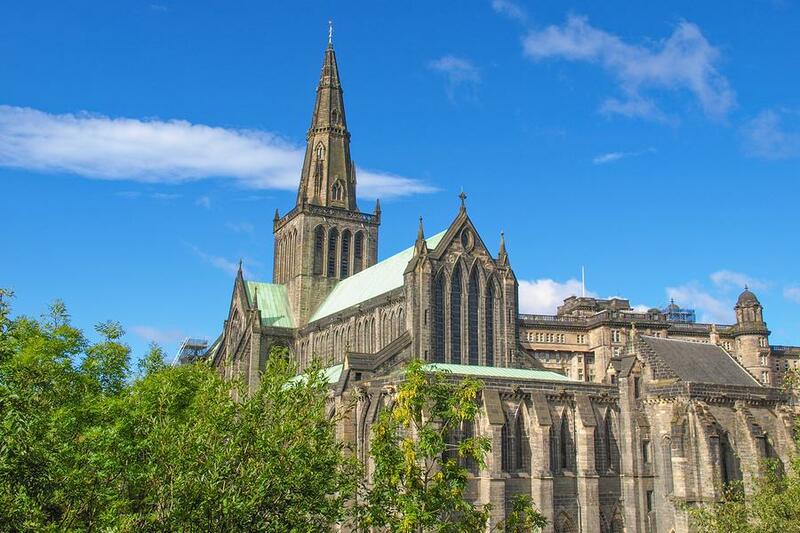 Glasgow Cathedral - a grand example of pre-Reformation Gothic architecture - is the only mainland Scottish cathedral to have survived the Reformation. Most of the current building dates from the 15th century (only the western towers were destroyed in the turmoil). This has been hallowed ground for over 1500 years. 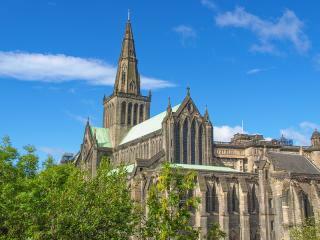 The cathedral is dedicated to the city's patron saint and reputed founder, St Mungo. The saint’s tomb rests in the chapel of the lower church. The fascinating St Mungo's Museum of Religious Life & Art focuses on objects, beliefs and art from Christianity, Buddhism, Judaism, Islam, Hinduism and Sikhism. There are three galleries, representing religion as art, religious life and, on the top floor, religion in Scotland. Portrayals of Hindu gods are juxtaposed with the stunning Salvador Dalí painting St John of the Cross. Charles Rennie Mackintosh's greatest building, the Glasgow School of Art, still houses the educational institution. It's hard not to be impressed by the precision of the design. The interior design is strikingly austere and the library, designed as an addition in 1907, is a masterpiece. Sombre oak panelling is set against angular lights adorned with primary colours, dangling down in seemingly random clusters. Now one of the most prestigious art schools in the country, the only way to see the school is by taking a student-led tour. For an interesting experience, visit the small apartment in the Tenement House. It gives an insight into middle-class city life in the late 19th/early 20th century, with box-beds, the original kitchen and the belongings of the family who lived here for over 50 years. Not to be outdone by Edinburgh, Glasgow has initiated several festivals of its own, starting each January with the two-week Celtic Connections music festival. February sees the City of Love, a festival celebrating St Valentine (whose partial remains lie in a Glasgow church). The city's biggest arts event is the two-week long West End Festival of music in June, with the excellent Glasgow Jazz Festival following in July.